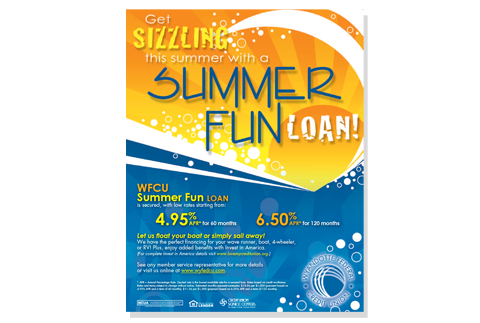 Posters are a great way to feature your products and services to your members every time they enter the credit union lobby or drive-thru. 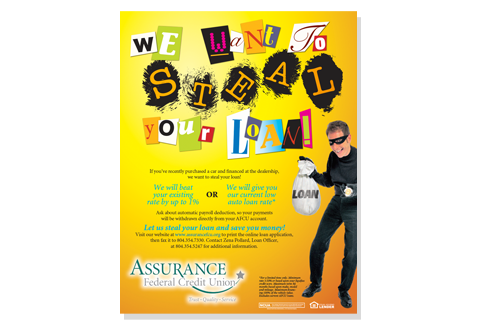 We can print sizes smaller than 8.5x11 all the way to large banners with a maximum of 60 inches in height. We have several different poster media including traditional semi-gloss durable poster paper, vinyl for banners, non-permanent adhesive paper, perforated window adhesive, and a new lightweight durable metallic paper. 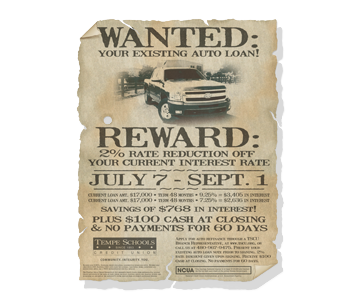 In addition to posters, we can do banners, displays (including stand), and even design your billboards!